The right to enforce a written or verbal contract or a promise that is reasonably relied upon to one’s detriment. Americans with Disabilities Act of 1990 (ADA), 42 U.S.C. §§ 12101-12213, forbids employment discrimination against employees with a disability or a perceived disability. Federal statutes only protect employees of companies with 15 or more employees. The Colorado Anti-Discrimination Act (CADA) also prohibits discrimination based on race and national origin, gender, age, and disability and applies to Colorado employers, regardless of size. CADA, unlike Title VII, explicitly prohibits discrimination based on sexual orientation. Under both federal and state statutes, an employee must first file an administrative charge with the appropriate agency in order to obtain the right to bring a lawsuit. The agency often attempts to get the employee and employer to settle their differences. If settlement is not possible, the agency investigates the charge and ultimately determines whether or not there is “probable cause” to support the discrimination complaint. Regardless of whether the agency finds probable cause, once the agency issues its finding, the employee is then given the right to file a lawsuit. Under federal statutes (Title VII, ADEA and ADA), an employee wishing to pursue a discrimination claim MUST file a discrimination complaint with the Equal Employment Opportunity Commission (EEOC) or the Colorado Civil Rights Division (CCRD) within 300 days of the discriminatory act. 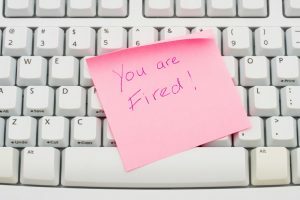 Under the Colorado statute (CADA), an employee MUST file a charge within 180 days of the discriminatory act. Provide helpful advice about procedural pitfalls and settlement. In the event that a lawsuit is necessary, an attorney will be up to speed and available to help with the litigation decision. Limited recovery of emotional distress and punitive damages, depending on the size of the company. Obtaining many of the prior large employment discrimination settlements and verdicts in Colorado (see here and here). Litigating the first sexual harassment case in the United States (see Heelan v. Johns-Manville Corp., 451 F.Supp. 1382 [D. Colo. 1978]). Colorado Courts recognize the tort of wrongful discharge or public policy discharge. This claim permits employees to recover damages if they are terminated because they opposed an illegal act against public policy or because they asserted a legal right. Lynn D. Feiger and her partners litigated the first wrongful discharge case before the Colorado Supreme Court and successfully obtained one of the first wrongful discharge verdicts in Colorado (see Martin Marietta Corp. v. Lorenz, 823 P.2d 100 [Colo. 1992]). In Colorado, employment contracts are enforceable if there is a term or implied term. Moreover, promises of progressive discipline, no termination without “just cause,” or fair treatment may also be enforced. Even verbal promises may be enforced if they are reasonably relied upon by the employee. Promises in employee handbooks are also enforceable unless the handbook contains adequate disclaimer language. Lynn D. Feiger successfully argued the first employee handbook case before the Colorado Supreme Court (see Cont’l Air Lines, Inc. v. Keenan, 731 P.2d 708, 710 [Colo. 1987]). For more information, see www.coloradoemployeerights.com, or for legal assistance, contact Denver Wrongful Termination & Employment Lawyer Lynn D. Feiger or Justin Plaskov at www.lohfshaiman.com or 303-753-9000.